These fees are inclusive of travel time/cost (within Zones 1 and 2), session preparation and materials. 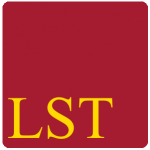 LST also provide online tutoring. Contact us for further information regarding any of our services. Below we address some of the questions we are often asked by students and parents. A copy of our Terms and Conditions can be found here. This includes our Data Protection Policy. Why don’t you teach other subjects? How is your approach different to other tutoring companies? How do you assess your tutors? How do we arrange for a tutor? What is the tuition strategy? Can your tutors teach to a particular syllabus? How do you prepare a student for an exam? How is payment for tutoring services arranged? Am I able to pay after sessions? Can I cancel sessions at any time? 1. Why don’t you teach other subjects? We are often asked whether we can provide tutors for subjects outside science. At London Science Tutors, our aim is not to arrange as many tutorials in as many subjects as possible, but to provide quality teaching from the best qualified science tutors in London. We aim to be the first and most trusted choice for private science tuition for parents and students in London. We work with a small group of carefully selected tutors who share a passion for education and science. Our tutors undergo a rigorous selection process before joining LST. With our scientific background, we can confidently assess which applicants have the required depth of knowledge and appropriate communication style required to be an outstanding tutor. We meet and evaluate each of our tutors individually and can vouch for their quality. Our tutors really enjoy teaching, sharing and communicating science. All of us find science fascinating and exciting. We really wouldn’t want to be teaching anything else! 2. How is your approach different to other tutoring companies? Many agencies in the city provide tutors across a whole range of subjects. London Science Tutors addresses the gap for high quality dedicated Science tutoring. We believe that we can confidently select the strongest tutors for teaching the complicated concepts and principles of science clearly and effectively in an engaging manner. We assess our tutors to ensure that they know their subject and are great communicators. We have developed a strong relationship with the active science community in London to enable us to source strong, talented and committed tutors. Rather than hiring temporary tutors – all of our tutors have shown enthusiasm and dedication for studying and teaching science, and are looking at tutoring from a long-term perspective as a way of sharing their passion and knowledge. Many are researchers or PhD students. 3. How do you assess your tutors? The problem facing many students looking for assistance with subjects such as science and maths is that tutoring is an unregulated sector, and therefore it can be very tough to ensure quality. There are many people who are academically very able, but not very strong at tutoring. We individually assess all tutor applications to ensure that we have a strong and able team of tutors. Potential tutors submit their CVs and applications detailing their previous teaching experience and their science interests. Those tutors with strong academic credentials and profiles are invited for an individual face-to-face interview. At interview they are assessed on communication, personality, enthusiasm and ability to explain complex scientific concepts and principles clearly and effectively. We invite candidates to deliver a test tutoring session to further understand their teaching style. We are looking for tutors who have a long-term commitment to tutoring in London. This ensures that we get the most dedicated and committed tutors. We actively arrange for feedback on our tutors from students and parents to continually monitor the standards of our tutors on an ongoing basis. 4. Where does tutoring take place? Our tutor will travel to your home to tutor to teach one-to-one. Most of our tutors are based in Zones 1 and 2. If we are unable to find a tutor in your area, there may be a small surcharge to cover our tutor’s transport expenses. Should you want tutoring to take place at a mutually convenient venue (e.g. a local cafe, or library), please let us know. Our tutors are adaptable and happy to work to your needs. 5. How do we arrange for a tutor? Contact us and let us know the best time to call you to discuss your individual requirements. We know our tutors well, and will select the most appropriate tutor for your needs and objectives. We will email their tutor profile to you for your confirmation. The chosen tutor will call and introduce themselves prior to arranging the first lesson. At the initial session, the tutor will work with the student and parents/guardians to identify goals and objectives of the tuition (discussed below in Tuition Strategy). We actively maintain regular dialogue with students and parents to ensure that we can monitor quality, collect feedback on our tutors and that you are fully satisfied. 6. What is the tuition strategy? We understand that everybody has different objectives from home tuition. Our tutors will work with you to identify these during the first session. Some parents are looking to stretch their children beyond the school curriculum. Other students are aiming to get a particular grade in a subject for a university application. Some students are mathematical learners, others prefer a more visual and conceptual approach. Our tutors will discuss your individual requirements and needs; setting realistic goals for the tutoring. If requested, we can work with you to develop a plan of action based on your objectives, your strengths and weaknesses. An example of a tutoring plan can be found here. 7. Can your tutors teach to a particular syllabus? Our tutors are familiar with the syllabuses of all of the major examination boards. Should you have a particularly unique syllabus of learning, we will work with you to develop a bespoke tuition strategy for your individual needs. 8. How do you prepare a student for an exam? We will work with a student to develop an appropriate approach to exam preparation. This includes going through past exam questions leading up to the exam, working with them to develop a comprehensive revision schedule covering the topics across the whole syllabus and ensuring that you go into the exam comfortable and confident with the subject. 9. How is payment for tutoring services arranged? Am I able to pay after sessions? After we’ve arranged the time and date of your first lesson we will send you an invoice by email for just one lesson. After the first session we will follow up with you to ask if you’d like to continue lessons and on what basis. A new invoice is then arranged for the following sessions. Due to the high demand for our tutors, all tuition fees must be paid in advance of any tuition which takes place. We highly value the time of both our tutors and clients, collecting payment prior to sessions allows us to confirm tutorials and ensure that valuable tutoring time is not wasted. Confirming sessions allows you to have the confidence of a firm commitment within the schedule of the excellent tutor you desire. Any lessons cancelled or rearranged more than 24 hours before the session are eligible for a full refund (discussed below). The most convenient and secure method of payment is bank transfer or direct debit. 10. Can I cancel sessions at any time? We respect the time of our clients and of our tutors, therefore if a lesson is cancelled less than 24 hours before the time it was scheduled for we reserve the right to charge a full fee. We can waive the charge at our discretion if there is an unexpected event, which makes it impossible for the student to attend the lesson. If you cancel your lesson 24 hours in advance, you will not be charged. Unused lesson credits are eligible for a full refund. No, there is no need to sign a contract. However, by accepting our services you are agreeing to our Terms and Conditions which can be found here. 12. Do you offer online tutoring? Yes, if you are interested in receiving tuition online please contact us for further details. This allows those students outside the London area to take advantage of our excellent tutoring services. If you have any questions not addressed above, please contact us.